FED recognized the need for robust clinical trials in mouse models of DMD. There had been a history of poorly carried out drug trials in rare disease mouse models, and FED wanted to turn this around, making DMD mouse research an example of rigor and good science. 10 years ago, FED convened the first international meeting of DMD mouse researchers in Washington DC to discuss the design and conduct of robust mdx mouse trials. FED and CDMRP then provided key funding to Dr. Kanneboyina Nagaraju to establish the first centralized mdx mouse clinical trial facility at Children’s National Medical Center. FED also provided key support to the TREAT-NMD group to work with Dr. Nagaraju to develop standard operating procedures, and an internet resource to ‘raise the bar’ on how robust mouse clinical trials should be done. The Mouse Drug Testing Facility at Children’s National grew rapidly, carrying out over 50 drug trials in mdx mice for foundations, NIH, DoD CDMRP, universities, biotechs and pharma. The demand on the facility soon outstripped the capacity at Children’s National, and a new venture philanthropy spin-off was created in 2013 – AGADA BioSciences. 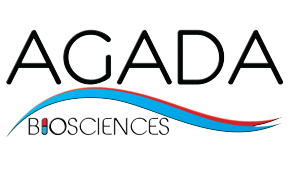 FED continues to support drug trials in the mdx mouse at AGADA, with a focus on combination therapies of existing FDA-approved drugs in collaboration with DuchenneUK foundation. To read publications of Dr. Nagaraju on the mdx mouse model, see here…….